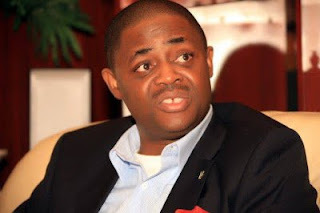 Post written by Femi Fani-Kayode. I have just read some absurd media reports in which have qouted their sources in the EFCC as saying that I had gone underground and that I was hiding from them. This is false. I have not been invited by the EFCC by letter and neither have they phoned me or attempted to reach me in any other way. I have been in my Abuja home for the last few weeks and I am not hiding from anyone. I am not a coward and this attempt to further demonise and humiliate me by the EFCC will fail. If they have any questions for me why don’t they just write to me or call me, give me a date and I will be in their office. I have made my position clear on the issue of the Presidential campaign funds, I have written an essay about it in my various columns about two weeks ago and I have been waiting for the EFCC to reach me ever since then. They have invited others but they have not invited me. I do not believe that I have done anything wrong and this latest attempt to criminalise me and make me look like a fugitive from justice will fail. Others that were invited to the EFCC over this same campaign funds issue were sent letters of invitation and were reached. I appear to be the exception and now these hideous lies are being fed to the newspapers to make it look as if I am in hiding or that I am running from them just to sensationalise the whole issue. This is also to justify what the EFCC wish to do which is to arrest me in public, humiliate me or to storm my home and lock me up indefinitely. There is no need for all that drama and if it happens that way the Nigerian people will know why. I have no fear of the EFCC, I will respond to their invitation any day and anytime they send it to me and I will help them to clarify whatever issues they wish to raise in any way that I can. Others were invited in a civilised way and were treated in a humane and decent manner. I really do wonder why I should be treated differently, criminalised in the newspapers in this way and not even afforded the common courtesy of a formal invitation by them. I await their letter or their call and I leave those that wish to give the impression that I am running from them to God.